This is a four piece American band that plays instrumental progressive rock. They were formed in 2012 with drummer Rikki DAVENPORT, guitarist Mark ILAUG, bassist Kyle LUND and keyboardist Chris MALMGREN. They came together with diverse and complex backgrounds and musical influences. Initially the band was supposed to have a vocalist, but he didn't show up at the recording sessions. Beyond the Visible Light was recorded in 5 days and is a adventure with many colors and textures. They show some influences from many bands of the 70's Prog Rock scene with some intrusion in the Jazz Rock genre. 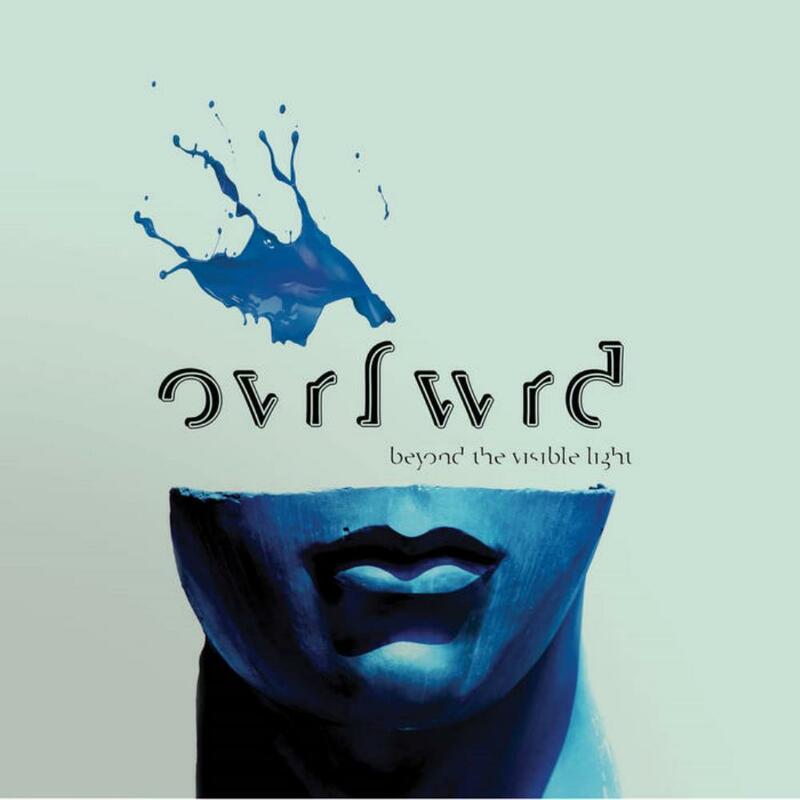 Their debut "Beyond the Visible" Light was released in 2014 and is an adventurous listening journey with many colors and textures. 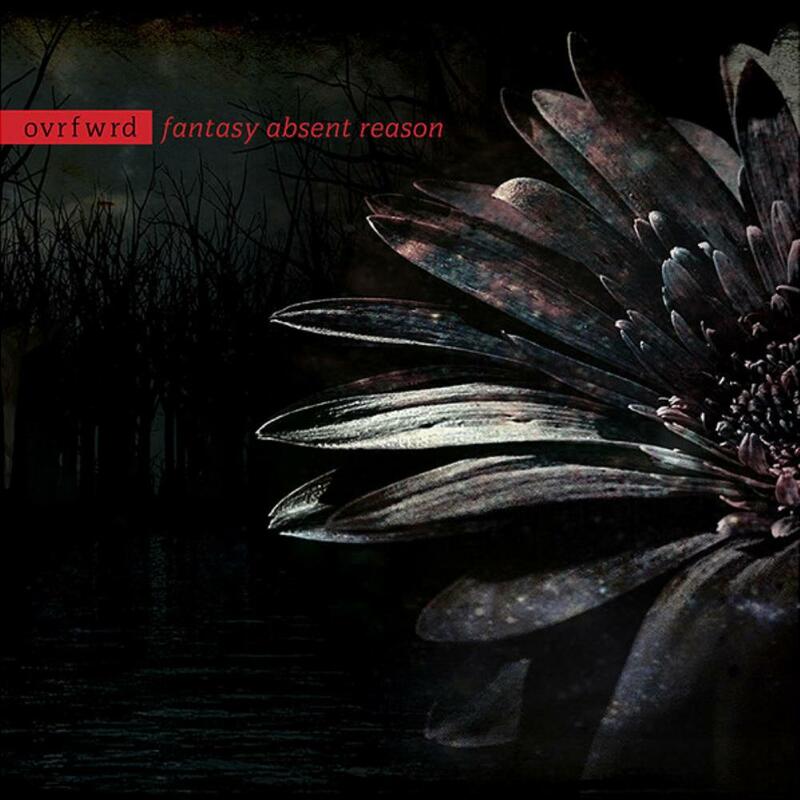 In 2015 they released "Fantasy Absent Reason" (vinyl) continuing on the path of sonic textures and soundscapes. Together they have a common goal; to create and perform powerful, colorful, interesting and sonically descriptive music, engaging and pushing forward on the musical journey. The band has released a live cd in 2018 containing tracks from the first 2 albums and new tracks for a future release. The live cd will also be release in dvd format later this year. 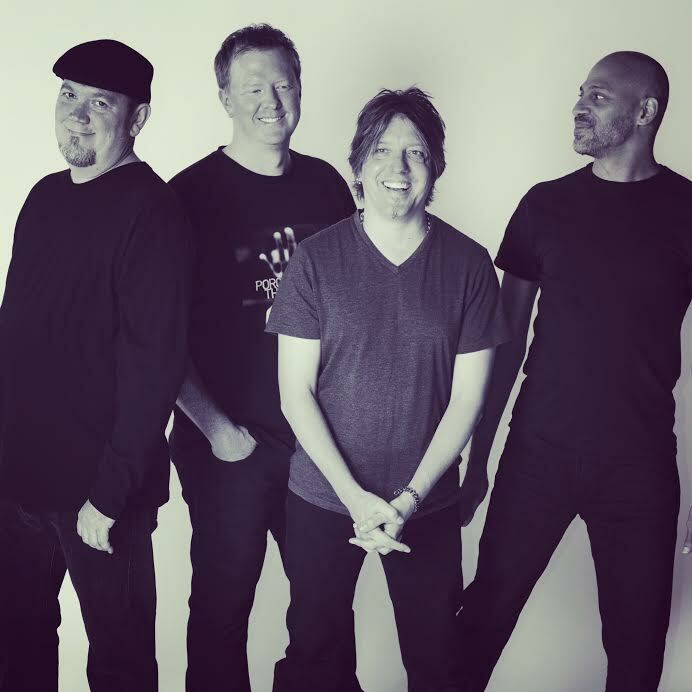 These boys know how to embellish two-, three- and four-chord blues rock chord progressions with enough jam-band-like instrumental flourishes, to bely the simplicity of the compositions. The musicians are all proficient at their instruments, the sound choices and effects all very accurate duplications of those from classic prog, psychedelia, and jazz fusion, and the weaves all full and feeling complete, but there is again this stark simplicity to each composition that I find difficult to ignore. It is especially obvious through and with the predominance of straight time signatures. I feel as if I'm listening to DAAL, QUANTUM FANTAY, SAMSARA BLUES EXPERIMENT, and early KING CRIMSON. Again, these band members, one and all, are masters of taking very simple constructs and using the collective embellishments from their familiar instruments to weave together some very nice and deceptively layered song tapestries. There are more frequent jam-band type of song developments than complex Crimsonian constructs?though, again, each of the individual musicians are quite proficient at their instruments. Their gift, so far, lies in masterfully mounting a collective attack slowly but surely, building as one to eventually create the full sounds and impressive concotions that they have. Four stars; a wonderful addition to any prog lover's music collection; an impressive collection of a variety of styles familiar to any prog lover from the progressive rock musics of the 1970s. Due to one reason or another I have fallen behind on my reviewing from where I like to be, and when this started playing in the car the other day I initially had to take a step back and work out who it was, and where it had come from. I had forgotten that keyboard player Chris Malmgren had sent it to me, as this just doesn't sound like a self-release and why they haven't been picked up by a major label is just beyond me. 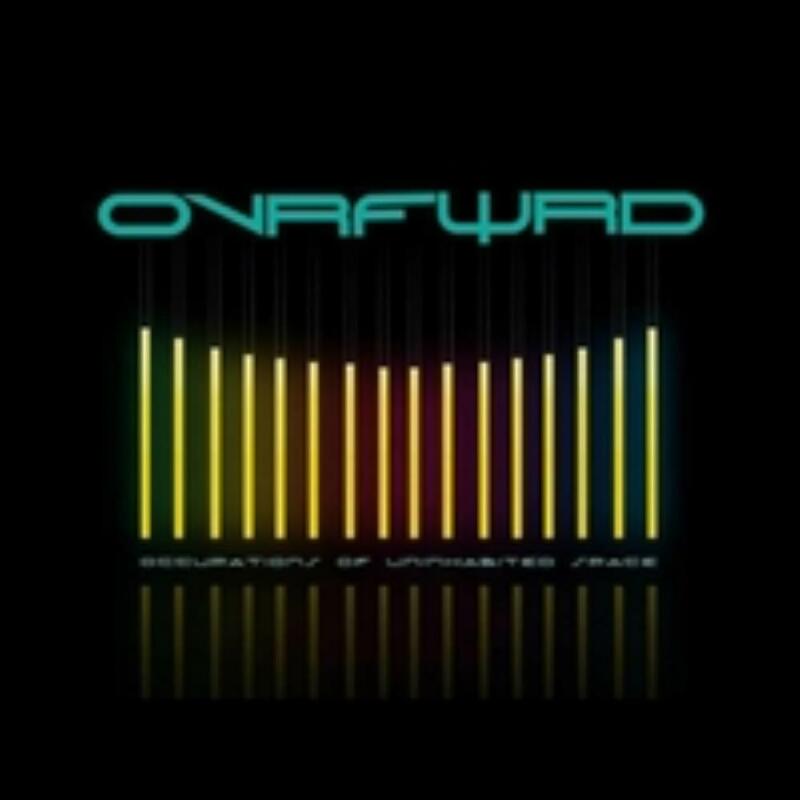 When it comes to instrumental progressive rock, there are few who put it together as strongly as Ovrfwd, who continue to drive a fusion of heavy rock and progressive rock in a way only they can. Drummer Rikki Davenport is obviously an octopus, while bassist Kyle Lund decided a long time ago that there is no reason why he can't play a lead part as well as providing support. Then you have keyboard player Chris Malmgreen who may be just playing delicate, emotional piano (listen to the beginning of 'Cosmic Pillow' as an example), or blasting banks of keyboards and then there is Mark Ilaug who can be deft and precise, or shredding and dynamic, whatever is right at that moment in time. The guys don't have a singer, as there is just no room at all inside their music for someone to provide vocals. But, instead of meandering meaningless wanderings these guys provide concise and controlled songs without words, music that transports the listener (such as the use of sitar on the aforementioned song). Powerful and heavy when it needs to me, there is also a great deal of delicacy, and clever arrangements which allow for plenty of space within the layers so that all can be easily heard and understood. This is truly progressive, with no room for navel gazing as the guys provide complex and complicated music which is fully accessible the first time it is played and just keeps getting better on repeat. Superb. The Heavy Prog quartet with a disdain for vowels broke a three-year silence with this interim project: part compilation; part sneak preview; and in large part a warm-up (hopefully) for actual concert dates. Revisiting their own early repertoire was a smart idea, especially after such a long absence. Like a pair of snug shoes that fit more comfortably over time, the older material played here has improved with age, and benefits greatly from the dynamic spontaneity of a live performance, even in an Uninhabited Space without an authentic audience. Let's face it, fellow Progheads, overdubs are for pussies: the true test of any real musician has always been an ability to deliver the goods without the safety net of cosmetic editing, and Ovrfwrd ace that exam with all the easy confidence of seasoned professionals. The effort is also being sold as a 'soundtrack' album: these live sessions were filmed, and according to the Ovrfwrd website a DVD will be on the market before the end of 2018 (a fast-approaching deadline by the way, guys...) Video samples have already been uploaded to YouTube, so I will resist further comment until the official release, except to note the monster chops of all four players, obvious even in the audio version here. It might be only a stop-gap release between studio albums, but this set accomplishes two vital goals: it succeeds is reestablishing Ovrfwrd as a musical force to be reckoned with, and (perhaps more importantly) shows what a powerhouse live act they are. All the music, old and new, was made stronger than ever in the mock-concert setting, removing any doubt that the quartet is one of the more exciting instrumental outfits to emerge this decade. I can't stand it any longer. At first, quite obvious, this fairly unspeakable band name strikes, puzzles every time, me at least. Just something like 'Overforward' maybe? Anyhow, come what may, as announced lately, the US quartet are offering a new manifest due to this album. Where they are blurring the lines between diverse genres again with ease. While being completely instrumental lyrics aren't available in consequence. The very nice cover illustration at least will express some touch with nature. And so, if there is any concept intended behind that ever, at least it may be managing another balancing act. Which would be to deliver new music that is unpredictable and accessible at once. Thus, while listening, and considering the album title, who really will be up to doubt, that this is based on a democratic foundation? Without exception the musicianship is flawless over the course. Instrumental impact and compositional aspect obviously enjoy equal rights regarding all members. 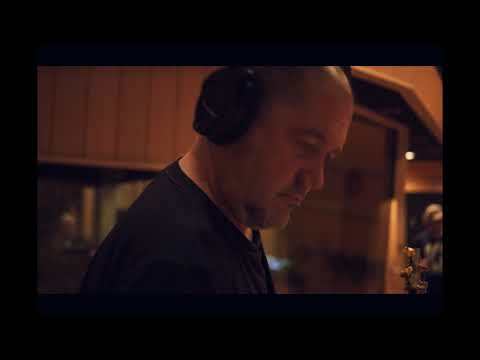 Not long ago they released the live in the studio session 'Occupations Of Uninhabited Space', retrospective and looking ahead both, as they also have put some forward-looking teaser on that album. Mother Tongue appears to be one exemplar, but provided in a new outfit on this occasion, yeah! 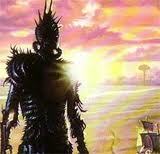 And now, of course, the unavoidable question ... which is the better one, heh? Can't say, don't know, sorry, pragmatically seen I should prefer the more extended one, hah! Whatever, the fabulous jamming middle part features a symbiosis of jazz/fusion and space rock attitude, marks an album highlight in any case. This is a quite eclectic one hour show, comes with creativity, definitely running against prog mainstream boredom. Equipped with a bunch of twists and turns it's really hard to analyze and describe. One track title, mentioning a trappers daughter, once provoked me to wonder if they ever have thought about recording a song or two with a singer anyway. Probably a new further challenge, who knows. Not an easy task in the end, because this music is of a complex nature, regularly contradictive to harmonies, choruses, refrains aso. I rather should avoid to highlight any band member, but Chris Malmgren's enchanting piano lines are remarkable all over the course, exemplarily to mention on the fantastic opener Wretch. There's some fine symphonic bombast feel given within Another Afterthought. Furthermore the mysterious Cosmic Pillow extends the guitar range with a sitar and some King Crimson reminiscence. If you should be longing for a proper comparisn, the band Djam Karet will come into mind occasionally. 'Blurring The Lines' is absolutely recommended, prog purists should pay attention, so much to explore. 4.5 stars as for the rating so far. After releasing the assertive live-in-the-studio teaser "Occupations of Uninhabited Space" only six months earlier, the Minneapolis quartet OVRFWRD completes what has to be the most impressive one-two punch of 2018 with their long awaited third album, in the process cementing a (so far) low radar reputation as one of the best and most authentically progressive bands at work today. From the eye-catching cover art to the inscrutable title to the undeniable depth and variety of the music itself, this is stunning stuff: old-school instrumental Prog as it used to be practiced, by four ace players very much aware of their shared musical heritage. On their Facebook page the band cites the influence of Pink Floyd, Mahavishnu Orchestra, Iron Maiden, Rush, Yes, Opeth, Joni Mitchell (! ), and King Crimson, and believe it or not all of the above are discernable in the new album. But this is hardly an ensemble stuck on a retrograde treadmill: the same list of influences ends with an intriguing "TBD..."
In truth the only thing OVRFWRD actually borrows from the past is a legacy of boundless creativity. Their music is hard to categorize, which ought to be true (but usually isn't) for any band flying the Progressive Rock banner. Heavy, intense, lyrical, sensitive, and thrilling are a few words that immediately spring to mind at first exposure. I dare any self-respecting Proghead not to respond to the attention-grabbing album opener "Wretch", with its gut-punching rhythms and near-symphonic instrumental chorus (a brief "Reprise" later in the album acts more like an interlude excised from the earlier track but too good to waste). The same challenge also applies to the gentle acoustic beauty of "Kilauea", an oasis of calm before the macho chords powering "The Trapper's Daughter". Or the Kick-Muck Ozric Tentacles intensity of "Forbidden Valley Opiate", one of two tracks previewed on the "Uninhibited Space" collection. Elsewhere the title "Cosmic Pillow" may have been intended as a joke: note the ethereal faux-'60s sitars and tabla, and the Roedelius-like simplicity of Chris Malmgren's acoustic piano accents, bathed in interplanetary echo. But it successfully conjures an age of outer-atmospheric exploration better than most dedicated Space Rock bands, then or now. 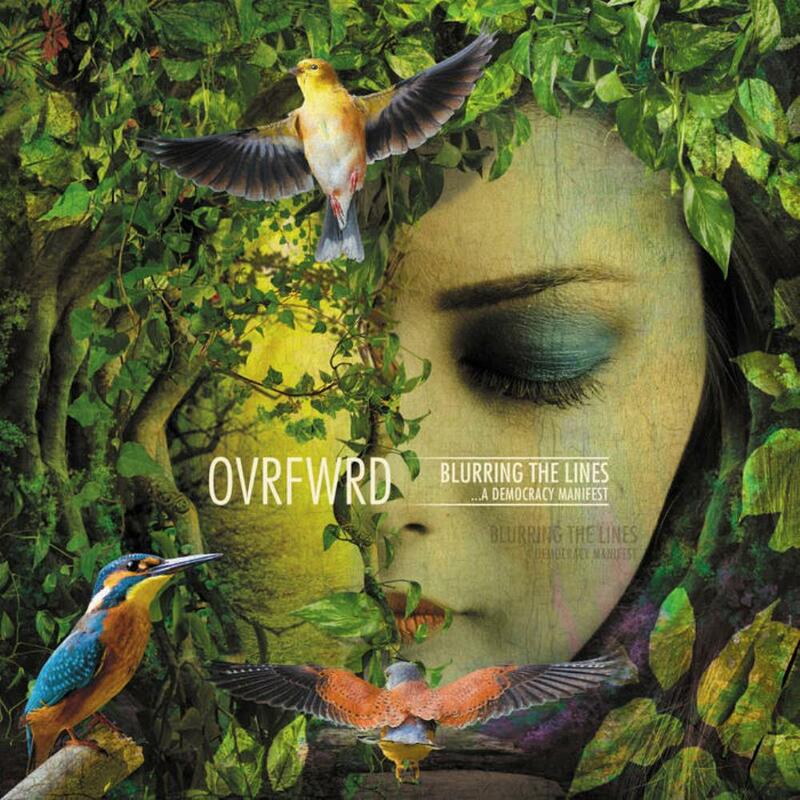 For this session OVRFWRD seems to have shed the few remaining inhibitions that might have lingered over their previous two studio albums. The band is playing with a greater sense of space and freedom, but at the same time have bonded tighter and harder than ever into a single musical unit. Solo turns are few, and are always heard within a larger group context: a possible explanation of the "Democracy Manifest" in the album's title. Chris Malmgren's nuanced keyboard work; Mark Ilaug's fiery lead guitar; and a vigorous rhythm section with stamina to spare: these guys function like an eight-armed beast controlled by one alert, curious, and very confident brain. I'm always hesitant to award a new album five immediate stars: masterpieces need to first stand the test of time. But maybe this effort has been there and done that already, even before its official release. After all: if the same music had been around 40 years ago (and it might have been, if only more bands at the time had resisted commercial trends and played to their strengths) the album would likely be remembered today as a classic...so why wait? The band continues to experiment its instrumental music by exploring different kinds of styles from Progressive Rock, Jazz Rock, world music and classical. In the same song, you can expect a surprising twist around the corner, a special groove. They can cover different moods from the more heavier passages to the light ones using piano and sitar and not only modern instruments. Often compared to King Crimson, that is mostly accurate for the rhythm section which is similar to the 90's King Crimson than for the guitar style of playing. There are so many highlights in this 50 minutes plus album that it would be a waste of time to analyze every song, you can't skip a song, it will keep your focus from the beginning to the end. For those who enjoy an eclectic or fusion kind of heavy prog and don't mind the absence of vocals. Why ruined this beautiful music with vocals! Should this be noted as a live album, remake, best-of collection, or what? It doesn't matter in the end. During one weekend session, taking place at the Pachyderm Studio, they are performing carefully selected songs from their first two albums, which were originally released around the years 2014 and 2015. Though not exclusively. On top the quartet delivers three previously unreleased recordings which are intended to appear on the upcoming third studio album. This certainly makes curious. And indeed, first of all, the whole thing sounds completely rounded. A special snapshot, based on the same team spirit, when considering the short-timed circumstances. While being completely instrumental in the making, those eight songs are showing a balanced relationship of composition and improvisation overall. First one and newbie Mother Tongue then explicitly proves what I mean. A main frame, rich in variety, shines while coming along with a clever space jam in between. Appealing, piano and electric guitar are perfectly complementing. Taken from the debut album 'Beyond the Visible Light' next one Raviji sounds matured concerning the fine-tuning. They are able to hold up this high level towards the finale. What basically means the songs constantly are featuring a rather complex fundament, instrumental virtuosity and enough catchy moments. Highly recommended. 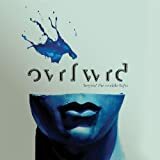 When keyboard player Chris Malmgren contacted me to let him know that Ovrfwrd were releasing a new album, recorded live in the studio, I was definitely interested. Recorded and filmed live at Pachyderm Studios in Cannon Falls, MN (Nirvana, Live, PJ Harvey, Soul Asylum) on August 5th and 6th, 2017 it features music from the first two albums ('Beyond the Visible Light', 2015, and 'Fantasy Absent Reason' from 2016) as well as new unreleased music for an album they are currently working on. 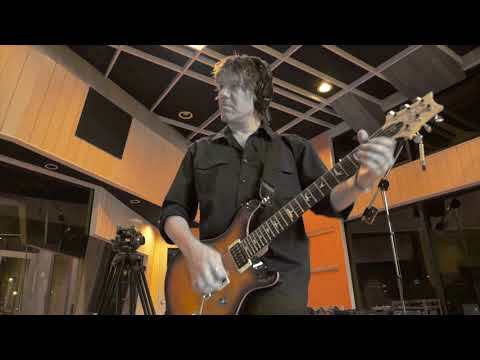 Chris, along with Rikki Davenport (drums), Mark Ilaug (guitar) and Kyle Lund (bass) have producing some of the best instrumental progressive rock music for a few years now, and it is incredibly to realise that this a live recording as they definitely nail it. Influence-wise I have previously stated that they combine the likes of King Crimson and Discipline in their music, and give that much of this is taken from their first two albums there is no surprise that this is still the case, but there are times when one thinks that Spock's Beard have had a part to play, or Arena, or Dialeto, while there are times when they bring in fusion and make it centre stage. There is a great deal going on, but the guys never lose focus and there is no room for any meandering as the intent is always clear and there is just no room at all for any vocals! Al four play to their strengths, and while Mark and Chris often are taking the melody leads, the contra-melodies from Kyle and the aggressive attack from Rikki all make the music what it is. All in all this is an incredibly intense and enjoyable progressive rock album, one that I have no hesitation at all in highly recommending to anyone who enjoys this style of music. I suggest you play the video for 'Unitopia Planitia' and then buy the album. I don't know in which conditions this concert has been played but the musicianship is still impressive just like in their previous studio recordings. There is something fascinating in the skill of these musicians, combined with a great talent of complicated composition. This music is surely too difficult, may be too cerebral to become commercially successful. The only way to enjoy it is to sit in a comfortable sofa in the evening with a glass of old Cognac or, at a pinch, an old Porto, with just a dim light. 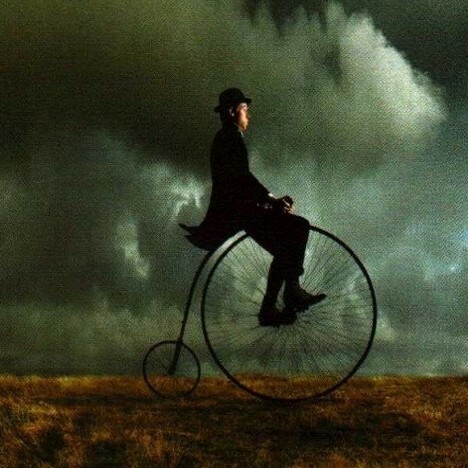 Then let you be carried away in a tumultuous journey during which you will never have time to rest. It is impossible to classify it. I don't find any other group to which I could refer. Heavy influences, space influences, jazz-rock influences... are obvious' with others ! 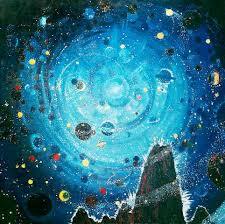 Names that spontaneously come in my mind are Djam Karet, Heldon (in 'Gengis Khan', for instance), Dream Theater (in the extraordinary 'Stones of temperance'), Ozric Tentacles (in 'Raviji'), King Crimson, Explorer's Club, why not Uzeb or even Spock's Beard (more especially in 'Brother Jack McDuff')' but that's just a personal feeling because it would be too reductive to associate them directly with one or even several group names and it would be aventurous to think they really have one of these influences. You just need to like instrumental music with complex structures and technical maestria. If you really are prog fanatics, you can only be hypnotized. I put 4 stars to their first two studio records. This one, recorded live in studio sound conditions, is a real best of and diserve at least 4,5 stars to my mind. Featuring a fascinating album cover, OVRFWRD (I have a harder time spelling this than I'd like to admit), to my pleasure, had nothing to do with the modern prog band waves of cold virtuosity and polyrhythmic frenzy. What I have seen while listening to BEYOND THE VISIBLE LIGHT are reasonable musicians that opt for melodies and don't overload they sound with countless instruments, which, while not depicting any mind-boggling virtuosity, are nonetheless accomplished and get their point across satisfactorily. In the end, that's all that matters. 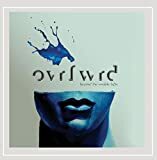 Many things permit me to compare OVRFWRD to DISCIPLINE, although the first is entirely instrumental and latter has a more eclectic, symphonic sound. Both arose in the musical scenario where blasting sounds were the norm (coff coff GRUNGE); both sound gritty and dark, and neither demonstrates instrumental skill overflow. Naturally though, OVRFWRD still has a path to take to reach the beloved band's critical acclaim. As I said, BEYOND THE VISIBLE light is surprisingly gloomy. Maybe because, since the last source of light is beyond grasp, they were obliged to embrace the darkness. 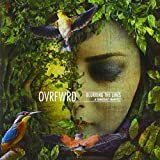 OVRFWRD's music sounds modern, characteristic of this epoch, and so we can see a distinctive focus on the guitar with an overload of distortion and guitar harmonics. Perhaps a better exploration of other instruments with more embracing compositions would have benefited the band's sound. I'm sorry, but I can't ignore how their sound resembles METALLICA's instrumental songs. Even though that thankfully they didn't inherit the thrashers' overly boring that makes me think "please end this", that similarity took a large sum of what could be OVRFWRD's uniqueness, and along with it, chunks of interest away from me. I blame the guitar tuning. Can We Keep the Elephant's intro is pretty prog as the guitar, keyboards, and drums all have equal shares of the limelight. The song quickly shifts to being guitar led though. The grave, murkier tone I spoke of is especially noticeable in the (great) medievalesque bits of Stones of Temperance; the song's energy and darkness makes me think OVRFWRD is fighting for their lives, or perhaps that they had an omen of devastation and are trying to warn the world about it. They gain aggressiveness and melody in Raviji, although it's ended in a sadder tone. The Man With No Shoes was a delightful surprise as it shows us OVRFWRD's jazzy side, presented on the long bohemian guitar and keyboards duo. While they have constructed an enjoyable atmosphere, I felt the guitar still sounded dingy, as opposed to nimble and soothing as the passage demanded. In fact, that's how I felt most non-distorted parts sound like: too somber. 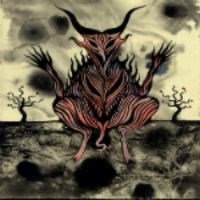 Darkest Star presents us exactly that, as the song is predominated by a lack of distortion. The chaotically noisy outro filled with piano cacophony and distorted guitar sweeps was an unexpected twist that peppered the mood in the same way cinnamon and clove seasons desserts. Maybe the METALLICA influences, guitar-orientation and grittiness was a bit too much for OVRFWRD's sound, but the debut really demonstrates what great potential they have. While they weren't able to charm me on this attempt, I'm still interested in looking their development and eager to check out how much they developed on their next release.